Sure you’ve had Vietnamese pho and Korean tacos, but Xplosive food truck is launching Filipino fare on Seattle’s food scene. On one of Seattle’s first sunny days of the year, a South Lake Union alley is packed with food trucks and hungry young professionals on their lunch break. While some are eating gyros or getting in line for the gourmet grilled cheese truck, the longest line in the food truck pod is for Xplosive. The atmosphere around the truck is bright and energetic, complemented by 90’s hip-hop playing through the truck’s speakers and the rows of colorful Asian snacks displayed along the front. Gathered around Xplosive, customers are served with a smile and stand in circles as they eat their plates of fried rice, tacos and bánh mì sandwiches filled with chicken adobo. 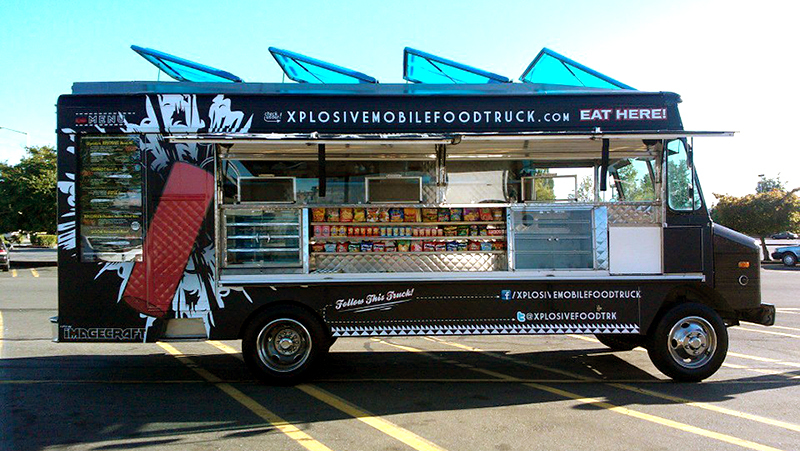 In the mobile food business for about six months, Xplosive serves a combination of Filipino and Vietnamese cuisine. Making weekly stops in places like South Lake Union, and Clearwire’s Bellevue campus, it’s quickly becoming one of the more popular food trucks in Seattle. 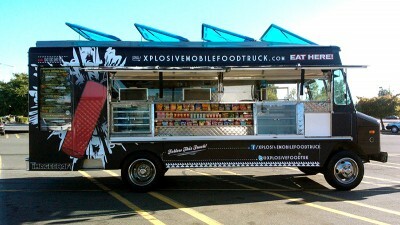 The truck is run by Cathy and Romano Basilio, a married couple with decades of food experience between them. Romano, of Filipino descent, helped his mom with her catering business growing up. His wife Cathy helped at her parents’ Vietnamese restaurant, A Little Bit of Saigon, which they owned for more than 20 years. “We have a lot of my mom’s recipes and we kind of combined the two,” Cathy explained. Xplosive serves two Filipino and Vietnamese standards: fried rice and vermicelli noodles. 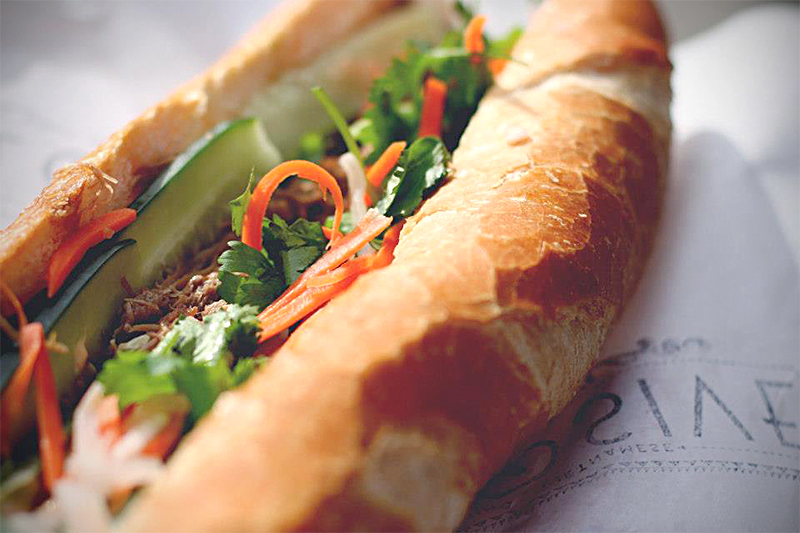 But one of their most popular items is their bánh mì, a baguette sandwich that’s a standby for many Vietnamese restaurants. What sets Xplosive apart is the choice to fill the sandwich with Filipino food like chicken adobo, a tangy stewed meat. Other choices include longanisa sausage and beef steak. Inspiration for Xplosive’s fusion food came from the goal to introduce Seattle to a bit more of Filipino culture. By combining Filipino cuisine with something familiar to the Seattle area, Xplosive can help “bring Filipino food to the masses,” Basilio explains. Cathy said the inspiration also came from a food truck in LA that serves a hybrid of Korean and Mexican cuisine. “If they could do Korean inside a taco, why can’t we put Filipino into a banh mi?” she said. 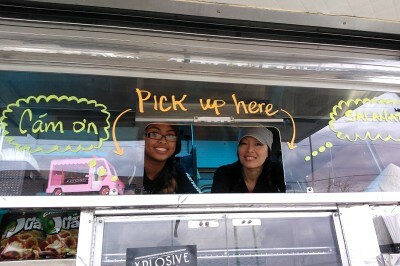 Xplosive debuted in September at the Mobile Food Rodeo, a festival for Seattle-based food trucks. Mobile Food Rodeo founder Ryan Reiter says the Basilios are part of a growing trend of internationally inspired food trucks, along with the Hawaiian-Korean food of Marination and EvolutionRevolution, which takes inspiration from a number of international cuisines. Reiter found that people respond very well to food trucks like Xplosive, which allows people all around Seattle to be exposed to food they normally wouldn’t have the chance to eat. While the Basilios have future plans for other, bigger ventures, right now they seem to be content focusing on serving fried rice and sandwiches to happy customers. “It’s been a blessing every day,” said Cathy. Nathan Ureta is a journalism student at the University of Washington with interests in food, science and technology journalism.